The car, as it’s planned now, would be a colossal flop, and will never happen as a mass market item. 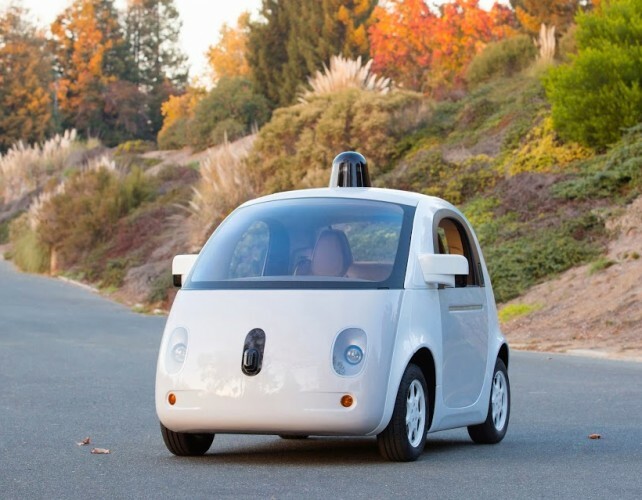 From a legal point of view (since this is a legal blog, not a tech blog) it seems like the lack of steering wheel and pedals really puts Google in the hot seat when it comes to liability. If something should go wrong, it’s all on them. It’s almost impossible for them to say the driver was at fault, if the driver has no controls. But it’s the lack of controls that will keep people from wanting to have anything to do with this. When reading about the car, what came to mind was a scene from The Right Stuff. When the Mercury 7 astronauts were shown a prototype of the capsule that was to carry them to space, they rebelled. The lack of controls or a window on the fully automated vehicle meant they couldn’t function as pilots, and would make them, as Chuck Yeager famously said, “Spam in a can” if something went wrong. I think the Google car will get a similar response. While the idea of an automated car is interesting, people will still want controls. Then there’s the crazy idea that the car will stop if it detects a person in the way. You think traffic moves slowly in the city now, just wait! The threat of getting turned into roadkill is what keeps people on the sidewalk waiting for the light to turn red so they can cross. What do you think will happen when people know cars will came to a screeching halt when they step out in front of it? Dan: I suspect the technology will be incrementally adopted. It starts with warnings about cars in the blind spots or if you are closing too fast, graduates to auto slowing/stopping. Our generation would never accept that idea of a driverless car. But that doesn’t mean that the safety improvements won’t be coming and have a big impact. It sounds like you’ve nicely hedged your life choices. In a dangerous world, you make money. If things become safer, you don’t make as much money, but you live in a better world. Well played, Eric. In a dangerous world, you make money. If things become safer, you don’t make as much money, but you live in a better world. Well played, Eric. Hey, I drive too. And more importantly, my kids will also one day. Techie here. I did not see the announcement of the 12/22 “release”, so maybe my point is moot, but it was my understanding that the technology could not yet deal with snow on the roadways, neither from a navigation nor a drivability standpoint. So, no fear for now, fellow Nor’Easterners. You’ll still need to be on the lookout for the speeding SUV idiots who think that 4-wheel driving traction also means better braking action on ice and snow. Ain’t necessarily so. Melting ice cream? Now those Google bastards have really bought themselves some lawsuits! Let’s not forget, if this prediction comes true it will impact the defense bar as much as it impacts the plaintiff’s bar. There are plenty of smaller defense firms in NY that almost exclusively defend auto PI claims and they wouldn’t survive a world with self driving vehicles. This is just my guess, but I suspect that plaintiff’s lawyers, being generally more entrepreneurial, will find a way to adapt to and survive this change. It’s the defense bar that is likely to struggle mightily with it. This is just my guess, but I suspect that plaintiff’s lawyers, being generally more entrepreneurial, will find a way to adapt to and survive this change. It’s the defense bar that is likely to struggle mightily with it. Defense lawyers are no more or less entrepreneurial than plaintiffs’ lawyers. Both will need to find other lines of work due to what I believe will e a substantial reduction in the need for these services. But only when auto stop/slow technology becomes part of a substantial number of cars (10%?) will we start to see any real effects, and that is still a long way off. Thank you for that “comment,” “Richard Johnson” from the Cabera Law Offices in Indio California. It’s a cut and paste from a comment at Overlawyered. I’ve taken the privilege of removing the link to your law firm, which I note, has an IP address in Pakistan. Wrong conclusion. Completely wrong. Driverless cars will create MORE lawyer hours on automobile cases delving into technology foibles while attempting to fleece deep pockets. Who wouldn’t want a piece of Google, for instance? The lawyers will blame the technology for any kind of mishap since there is no driver to blame. Precedence is the lawsuit pigpile on Toyota for never-proven technology glitches that caused unexpected acceleration. The lawyers used the incontestable theory that “an unknown and unfound software bug caused the acceleration.” Good luck, $GOOG. The number and amount of products liability cases is vastly dwarfed by run-of-the-mill hit-in-the-rear and intersection collisions that take place due to driver inattention. As I noted, there will no doubt be suits regarding the technology — it appears that car manufacturers can’t even get air bags right — but that in the end, there will be more safety, less injuries, and fewer need for suits. Which is a good thing. Here is evidence that you need not (yet) fear the demise of the human driver. I don’t think we will see a driverless car in my lifetime. But I do think that we will see many of the anti-collision technologies that they are now experimenting with. Cars with collision warning systems are already on the road and the next step would be, I think, automatic slowing. Reviews were mixed. It is, for example, strictly straight ahead line of sight, so it does not “see” over a hill crest or around a curve. It is not sensitive to road conditions such as black ice, and could send an 18-wheeler into a jack knife attitude by a poor automated decision. It cannot correctly deal with the idiot 4-wheeler (i.e. “car”) drivers who slip just in front of speedy big rigs in order to take the next exit (a common trucker complaint). But it does promise to “mitigate” collisions, and for large firms that adopt it, it might mitigate some accident claims by its proactive stance. But I tend to agree that after enough baby steps, and possibly using quantum computing (which, I’m told, allows for statistical “maybe” as well as yes and no) and, sadly, a few well publicized failures from which much will be learned, that driving automation is bound to happen. I miss the 1948 VW I had in college.